I recently finished writing a "somewhat" new book—The “All New” Cyclist’s Training Bible. The original version was published more than 20 years ago. It had been edited three times over the years. Last year my publisher suggested it was time to edit it yet again. I balked at that as editing it could end up being a more daunting task than rewriting it from scratch. There had been lots of changes in training since the last edit. An edit in one chapter would require small changes in several others. And those might call for other somewhat nuanced changes downstream. It would have been like putting bandaids all over it. So I decided to throw away the old manuscript and start with a blank page. I didn't realize at the time what a huge task this would be. More than a year later the all-new version is just being released and is due to be on bookshelves by the middle of April (the e-book version will take another two months). The paperback book can be preordered here. The following is the Prologue to the book where I describe what you’ll find in it. I hope you enjoy it. The Cyclist’s Training Bible was the first book I ever wrote. That was more than 20 years ago. When I decided to write it my interest at the time wasn’t in selling books. In fact, I figured it would sell only a few copies and within a handful of years would be long gone. My motivation then was to see if I could describe the training philosophy and methodology I had developed over the previous 20 years as an athlete, student, and coach. I never dreamed this book would become the best-selling book on training for cycling and play a role in changing how so riders prepare to race. This latest edition of the All-New Cyclist’s Training Bible is, indeed, “all new.” That’s not just marketing. When I decided it was time to rewrite it I threw away the old manuscript and started with a blank page. The only thing that stayed about the same was the Table of Contents. But that also went through some revision. The project took me a year. That’s partly because the content nearly doubled in 20 years—from 70,000 to 130,000 words. Whew! But it also took me a year because before writing each chapter I went back to the research to see what exactly had changed over the past two decades. While that certainly added to the project’s writing time, this was crucial for describing the advanced and updated training concepts you’ll find here. The bottom line is that I’m pleased with how it turned out. But what’s more important is that you find it beneficial to your training. That was my motivation for taking on such a task this time around. Writing a book for a broad spectrum of riders is always a challenge. I know that some who will read this book are novices in their first year in the sport and everything here is new for them. Others are what I call intermediate riders in the second and third years of riding who are still developing their basic fitness and learning about training. Then there are the advanced riders who have been in the sport for more than three years, read the original book, and have developed a sound understanding of training and many of its nuances. At the highest advanced level are elite athletes who have not only been in the sport for several years, but also have the ability to perform at a very high level in their race categories. They generally have a deep knowledge of not only training but also of sport science. Regardless of the group you belong to, I’ve tried to address the needs of each of these categories so that by following the training guidelines proposed here you will advance to the next higher level of performance. In fact, competitive performance is what this book is all about. My hope is that you will learn new ways of training to help you grow as an athlete while also producing better race results. Of course, I don’t suggest that reading this will magically transform you into a professional grand tour rider, but it’s certainly possible to take your riding up to the next level of performance and achieve goals that you previously didn’t think were attainable. I’ve seen this happen many times with the athletes I’ve coached over the years. I’m certain you can also do it by applying the principles you’ll read about in the following chapters. The purpose of this book is to help you become fitter, ride faster, and achieve high goals. Collectively, these outcomes make up what may be called “high performance.” I’ll use that phrase a lot in the following chapters. I certainly intend it to mean those three outcomes, but it means more than that. High performance goes well beyond your results. It’s as much an attitude as an indicator of well you race. In fact, attitude comes before race results—way before. It implies living a lifestyle that makes possible the achievement of high goals: how consistently you train; how disciplined you are about training; what, when, and how much you eat; who you hang out with; how you think about yourself; and much more. A high-performance attitude is a lifestyle that is pointed directly at your goal and relentlessly pursued. Chapters 1 and 2 will touch on many such matters. Attitude and lifestyle, however, are not the focal points of this book. There are other works by sport psychologists that can help you achieve mental high-performance. After introducing the mental component in Part I we will start down the path to developing your physical high performance. It’s been more than 20 years since I wrote the first Cyclist’s Training Bible. The sport has changed in many small ways since the mid-1990s. Back then few cyclists wore helmets, clipless pedals were new, electronic shifting was introduced but didn’t catch on, and aerodynamic time trial handlebars were still a novelty. These are but a few of the small equipment changes we’ve seen happen over the years. In many ways cycling is a different sport than it was 20 years ago. Other than the bike itself the biggest change has been the acceptance of the power meter by riders since the early 2000s. 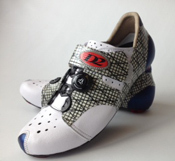 Very few riders in the 1990s had them even though the technology was developed in the late 1980s. They were simply too expensive—about a month’s salary for the average person. Back then we gauged intensity with heart rate monitors, which had been around for 20 years and were relatively inexpensive. Before that, riders determined training intensity strictly on perceived exertion—how they felt. With power meter prices coming down dramatically in the last several years, training with power has become common as heart rate monitoring and perceived exertion appear to be fading away. In this latest edition of The Cyclist’s Training Bible, while the workouts rely heavily on power, heart rate plays a supportive but still important role. And perceived exertion remains critically important for high performance as you’ll see in Chapters 4 and 5. There have been many other changes unrelated to equipment since this original book was released. At the time of the that first edition training periodization was largely an unknown concept for the average rider even though some elite Western athletes became aware of it two decades earlier. It was a closely guarded training secret of Eastern Bloc countries throughout the 1950s and 1960s and remained an enigma even in the West throughout the 1970s and into the early 1980s. Before the later introduction to periodization most riders in the West simply trained however they felt and decided what to do for a workout as they rolled out of the driveway. Saddle time was considered to be the best predictor of performance. In the first edition I introduced the annual training plan based on periodization. At the time, this was a new and somewhat revolutionary concept for many riders. At the time, in order to keep it simple, I described only one seasonal planning method—“classic” periodization. In this latest edition I expand considerably on the topic of seasonal planning with periodization by introducing several other methods in addition to classic. 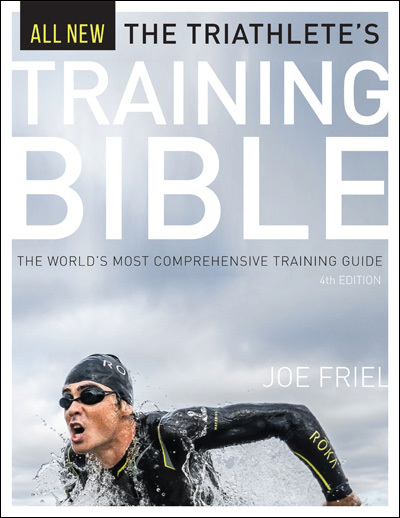 All of this is found in Chapters 7, 8, and 9, and created using the Annual Training Plan template in Appendix A. And I assist in helping you decide which method is best for you. I consider this to be the hub of the book. The chapters that come before and after this part are intended to enhance your unique training plan. In the previous four editions of The Cyclist’s Training Bible I also offered only one simple way to train for all riders regardless of their unique physical attributes. Cyclists have become much more knowledgeable about training since then. 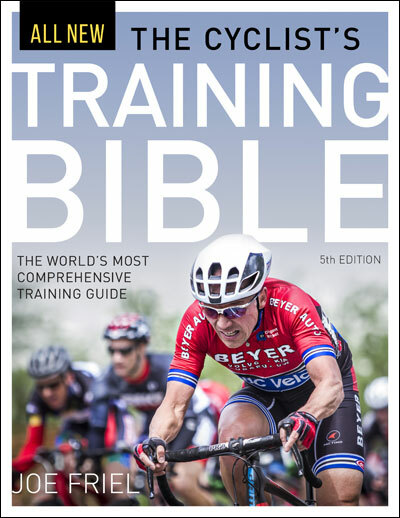 This all-new edition allows for individualization by considering the reader’s unique cycling phenotype—his or her sport-related strength—in recommending how to train. This comes down to one’s personal racing characteristics as a climber, sprinter, time trialer, or all-rounder. Every rider fits into one of these categories, and so the training methodologies you’ll find here are built around this concept as described in Chapter 2. The science of training has also grown considerably in the last 20 years. Here you will learn how to apply the latest proven concepts for improving race performance. This includes Training Stress Score (TSS)-based training that is becoming quite popular among serious endurance athletes. There’s a good reason for that: It’s a much more effective way to gauge training load than simply adding up hours, miles, or kilometers spent on the saddle each week. That’s how we had to do it 20 years ago. But there weren’t any other options then. Learning to train with TSS is one of the smallest and yet most effective changes you can make to increase fitness and race faster. I know that probably sounds far fetched, but I know it works. It will focus your training around what’s important for high performance. And that’s not saddle time. In Chapter 3 I’ll teach you what TSS is and how you can effectively use it. One topic here that remains much the same as in the first edition is individualized training based on abilities and limiters. You’ll find this explained in Chapter 6. In many ways this simple concept is at the core of successful training for endurance sports. This is closely related to your goals, objectives, and even the workouts as found in Appendix B. One area of study that has seen a lot of research since the first edition has to do with the stress of training and how best to recover from it. It’s been well established that in order to approach your potential as an athlete you must frequently flirt with overtraining. This is a challenge for most riders as the frequent fatigue of such training has an impact not only on subsequent workouts but also on lifestyle. Fatigue is a powerful outcome of training that may be thought of as a tool for high performance. Managing fatigue is a balancing act that is critical to training as it has to do with adaptation to purposeful stress. The timing of the stress-adaptation-performance loop is dependent on how effectively you recover following hard rides. The challenge is to keep the time to accomplish this progression as brief as possible without short-changing adaptation. This is the dilemma of short-term recovery and is explored in Chapters 10 and 11. Long-term recovery from cumulative fatigue also has a lot to do with high performance. This is especially evident in tapering for the most important races of the season. Achieving a peak of fitness at the right time is not well understood by most riders. Tapering is a rather complex undertaking that has to do with removing fatigue while maintaining fitness in order to achieve what in sport is called “form.” It’s another balancing act related to recovery. Chapter 3 introduces this three-part concept with the full explanation reserved for Chapter 13 so that all of the training methodologies of the intermediate chapters are fully understood before delving into this multifaceted topic. The strength program you’ll find in Chapter 12 is also greatly updated from the first edition to provide more options for developing the muscular force necessary to producing high power. This is one of the most significant changes in this book. If you are time-constrained, as many riders are, you’ll learn in this chapter that not all strength training needs to be done in the gym. Much of it can be done on the bike without the need to lift weights. That greatly decreases training time that is a concern for many athletes who have a very busy lifestyle. But should you decide to follow a more traditional gym-based strength program the weightlifting exercises are updated from the original book to provide maximum benefits for the time invested along with additional exercise alternatives when time and energy allow for them. All of these options are explained along with their pros and cons. There wasn’t much in the way of training analysis in the first edition. Now that there are more precise ways of measuring training and racing performance the topic is more thoroughly addressed. In Chapter 14 I’ll help you effectively measure progress toward your performance goals that were explored in Chapters 1 and 5. Analysis of training is crucial for the continued improvement of the rider who has high goals in the sport. In this chapter new ways of looking at training information are discussed with an emphasis on examining only critical data to more precisely train for high performance while also limiting the time needed for analysis. This will save you time while also improving performance. If you read and closely studied the original book you’ll find there are many such changes in this edition. In fact, you will find some contradictions. What I’ve written here sometimes disagrees with what I said in the earlier editions. That brings us back to where we started: things change. The sport has changed. Sport science has changed. And I have changed. The evolution of all of this will continue. And that’s a good thing. My hope is that you also evolve as an athlete from having read what follows. Training to become a high-performance cyclist is not easy. I suppose that’s partly the reason we do it. Growth in any challenging area of interest is rewarding in many ways. It’s not just standing on a podium that makes you successful. Such a huge challenge produces habits and an outlook on life that are good for you in many ways, but not easily formed. You’ll become not only a better cyclist, but also a better person for accepting the challenge. It’s not easy because it takes time, energy, purpose, dedication, and discipline to achieve. But that’s also what makes the challenge rewarding. The benefits come later and are mostly recognizable only to the rider. It is my hope that this book will help you realize all of this.